I guess this woman was REALLY excited about the 6 donut special because she drove her car over the 20 feet of sidewalk, thru a garbage can and bench and right into the DD. 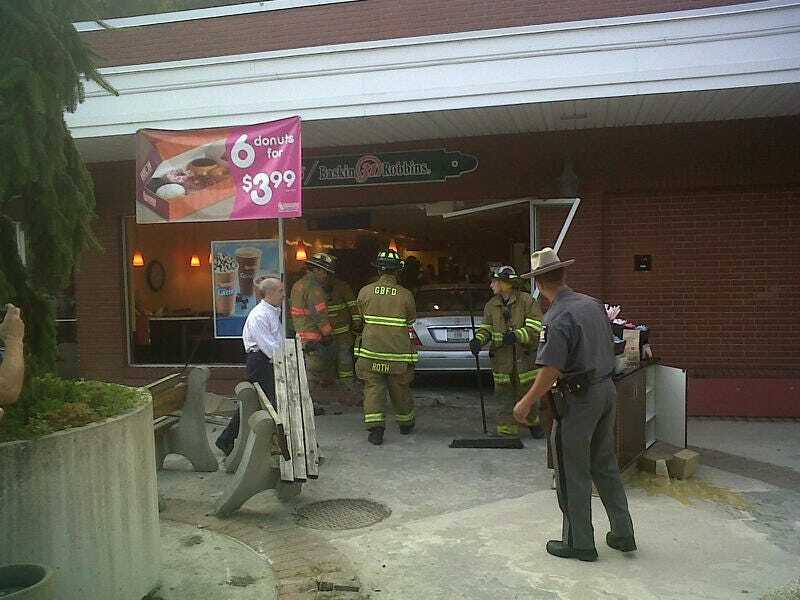 And this was not a drive-thru! Luckily, I didn't see anyone get injured which is amazing considering it was 7:45am on a Friday morning. That is amazing. Just yesterday, Bill Simmons tweeted that Dunkin coffee was no longer strong enough for his tastes. He demanded they put cocaine in their blend. It appears they heard you loud and clear, Billy Boy. LOUD AND FACKIN' CLEE-AH.